As we reported earlier about release of Windows 7 SP 1 from Microsoft website. 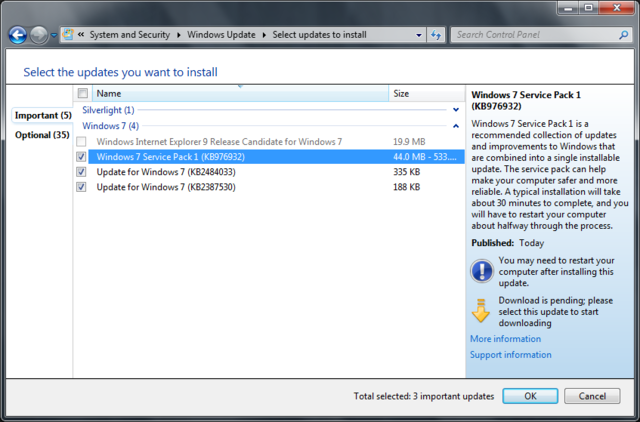 Now users can also get Windows 7 SP 1 from their Windows Update section. The service pack is now available online through Windows Update. 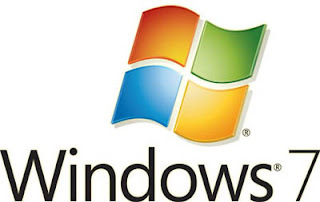 Windows update was the likely method of download as the standalone installer required up to 8GB of free disk space to install whereas it seems through Windows update requires a maximum of 540MB. 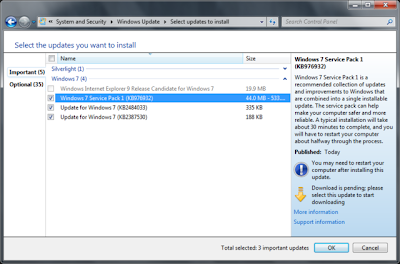 For users with only a few PC’s to worry about, Windows update is the likely route however those with a greater amount can choose between the standalone installer or online installation which requires up to 1GB to install. As reported earlier, SP1 only comes with two major new features, those being RemoteFX and HyperV - features that shouldn’t affect the majority of users. However likewise with most SP’s that Microsoft release for Windows it comes with some security fixes and other minor tweaks. Microsoft has also provided a spreadsheet of the changes and security fixes in which we can see in detail the changes that have been made.